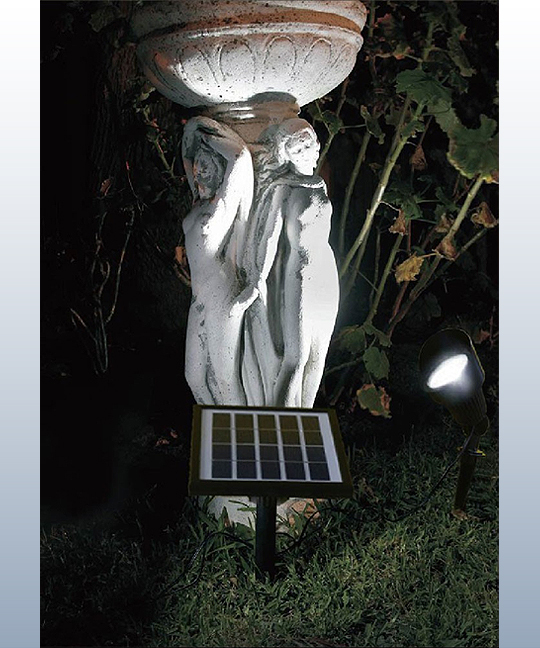 The Solar High Intensity Spot Light with 12 LEDS is a great light that packs a punch when spotlighting lighting key areas of your landscape including plants, statuary, signs, flags and entrances. 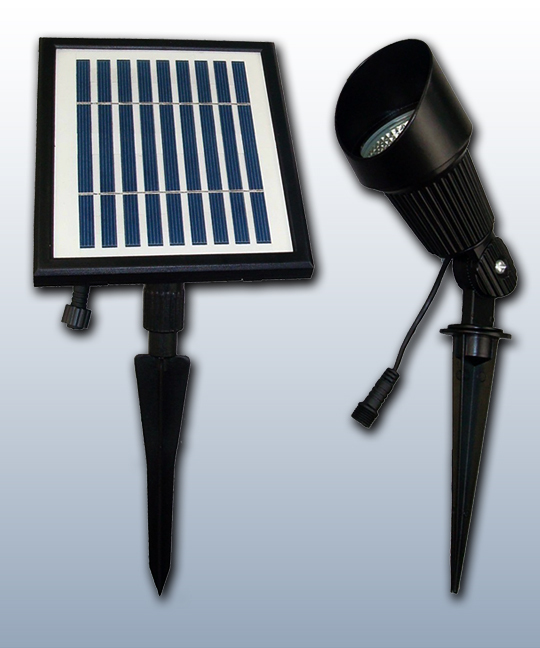 Along with providing bright light for use as a ground spotlight for plants or garden ornaments, optional equipment turns it into a great flag light. 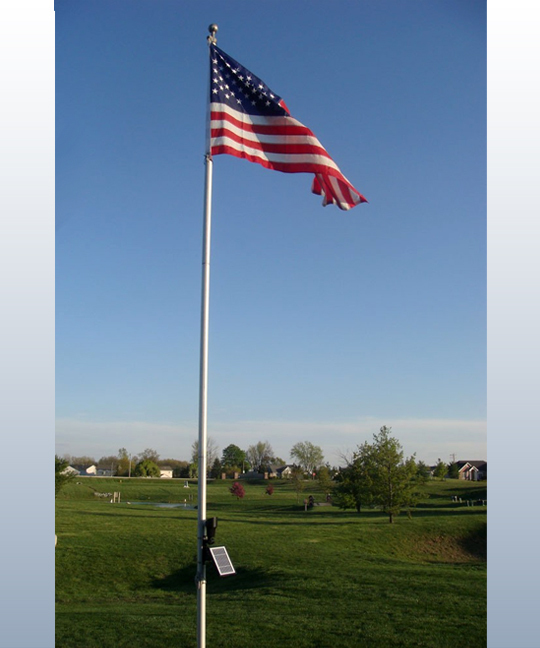 It also can be staked in the ground or mounted on walls, providing focused light beam for doors, entrances or flags on small poles, as shown in photo. 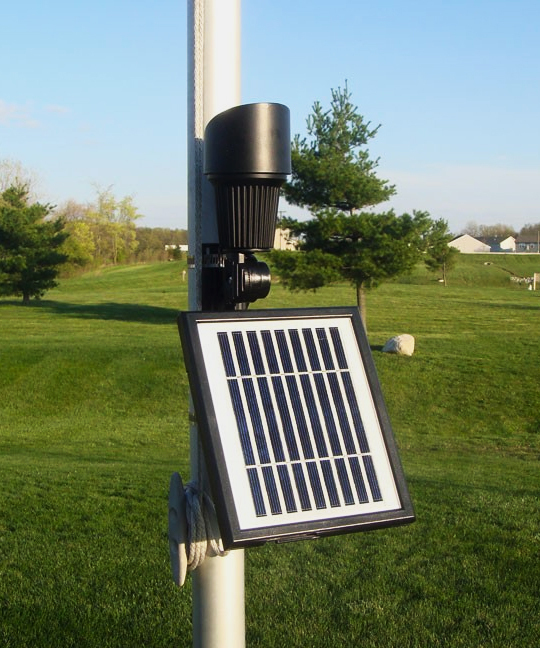 Unlike many spotlights of it size, it stays on continuously, automatically turning on at dusk and staying bright for up to 8 to 12 hours, depending on how much sun the light absorbs each day. Typically, 4 to 6 hours of sun a day is required and the adjustable solar panel lets you easily move the panel so that it absorbs the maximum possible sunlight. 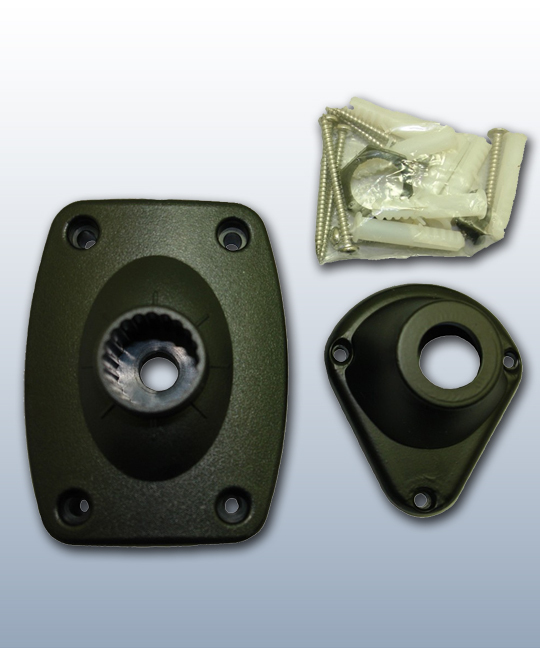 This heavy duty fixture has with 12 high powered LED bulbs, and is made from professional grade cast aluminum. 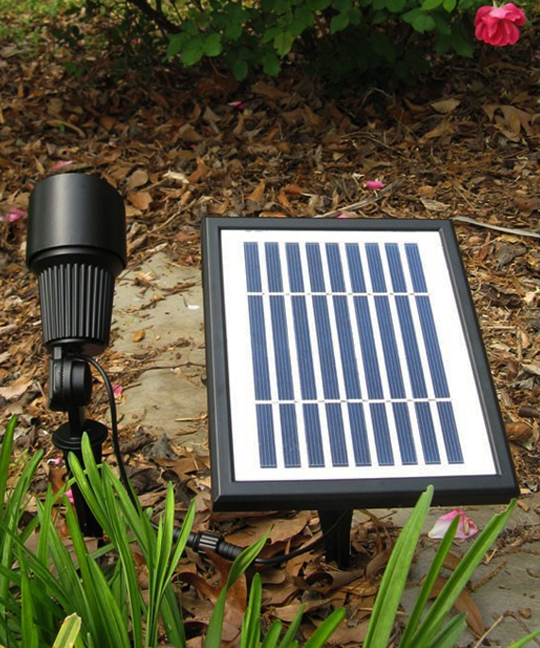 The solar panel connects to the lighting fixture with an included one-foot cable. 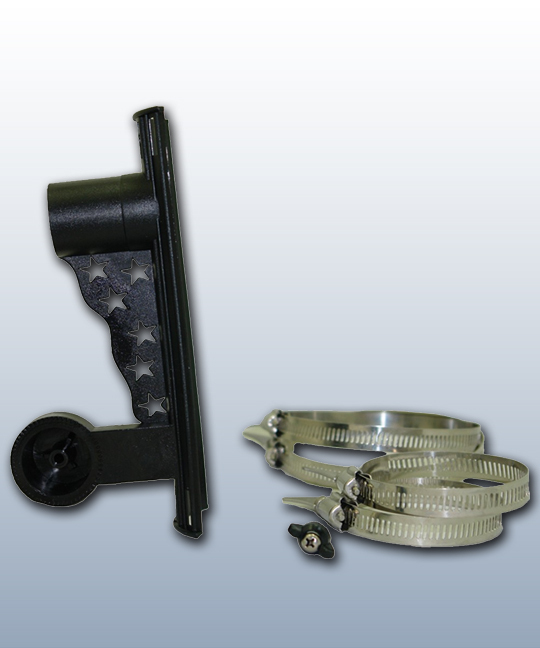 A one-foot cord between the spotlight and cable comes standard. 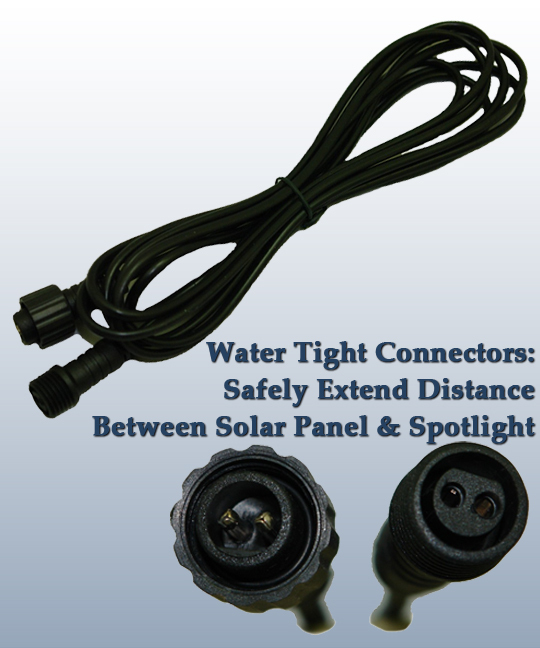 A 9.5 foot extension cable is an available option that lets you put the solar panel where it will receive the most sun and the lighting fixture where you need it most. 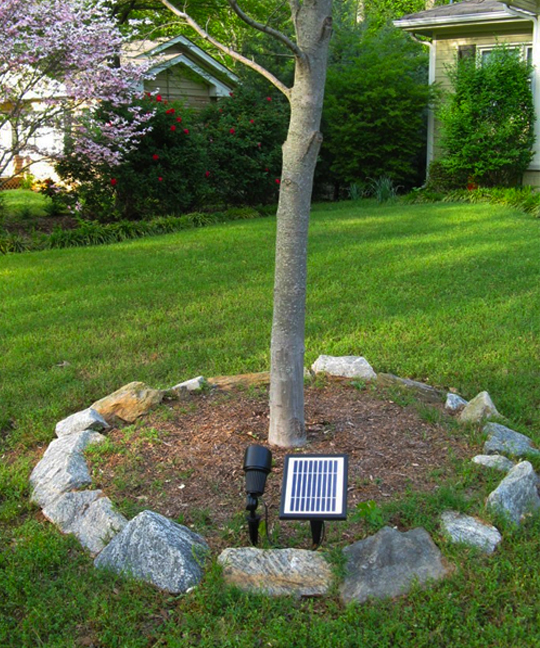 Note: The solar panel can be mounted in the ground, or you can mount it to a wall using an included template (screws not included); the wall/flat surface mounting hardware is for the solar spotlight.